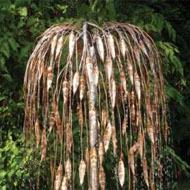 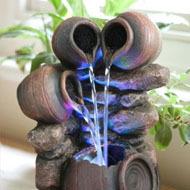 Water features can be fountains, ponds, streams, cascades or waterfalls. 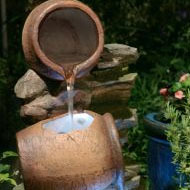 Water features can bring a relaxing atmosphere to any space and are also known for their ability to increase air quality and humidity and decrease noise pollution by drowning out noise with the sound of running water. 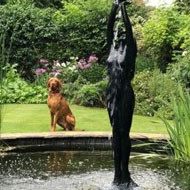 Our desire for an aquatic scene in our gardens is probably genetic - enjoyment of being within sprinting distance of a climbable tree and copious sparkling water. 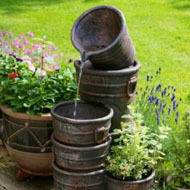 Hence the evolution of the designer's favourite, the garden water feature. 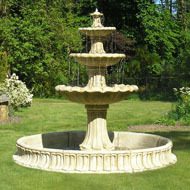 If you were the Duke of Marlborough, you'd have Capability Brown using your serfs to carve out artificial ponds and serpentine lakes to create your relaxing vistas, but Great Uncle Montague blew the family fortune at the bookies, so you, like the rest of us, are now constrained by size and budget. 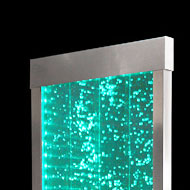 But at Primrose, budget is not much of a constraint, and your personal taste is no constraint at all. 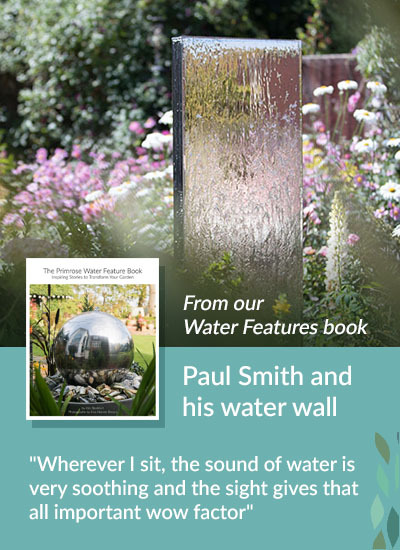 Primrose can offer you with a vast array of classical tiered stone fountains , elegant cascading figurines, contemporary stainless steel walls, natural stone monoliths, rusting corten monstrosities and charming self-contained woodland scenes of babbling brooks and tumbling streams. 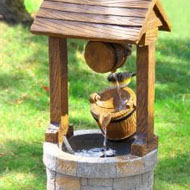 Your pump can be mains-powered, or you can choose an easily-installed and put-it-anywhere solar water feature or birdbath fountain. 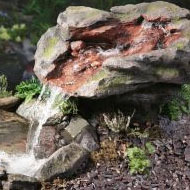 Whatever your budget, from a £30 plastic gnome water feature to a £700 bubble fountain, at Primrose you'll have the means to please your genes. 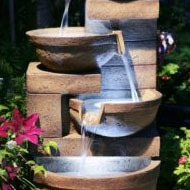 Why Buy A Water Feature? 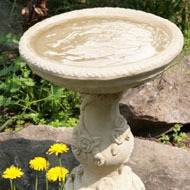 It’s no wonder that in many cultures where the people live in hot countries, there is a pool or fountain either in the garden or even in the centre of the house (just as Roman houses had in-built pools of water in the atrium or entrance hall). 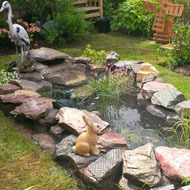 However, water features are not only for use in hot countries; the addition of a water feature or fountain to any garden will help to create a lush, restful atmosphere as well as being an irresistible attraction to local birds and wildlife. 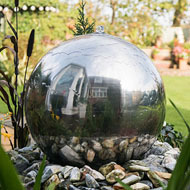 Simply put, water features are beautiful and can only enhance the surrounding area by making an enchanting focal point in your garden. 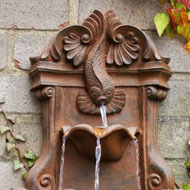 It’s a myth that you need a large garden in order to have a water feature. 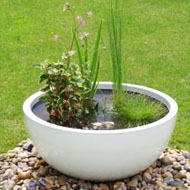 Many features are small enough to fit neatly in a smaller garden or even on a balcony without taking up too much space and if room is really an issue, compact table top water features are ideal. 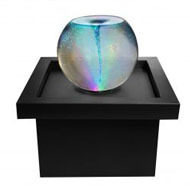 A water feature of any size can help to purify the air, create balance in feng shui and become a prized possession to show off to all your friends. 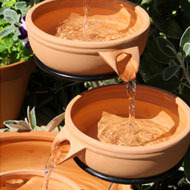 We stock all the major brands of water features, from Ambienté and Smart Solar to Kelkay and Oase. 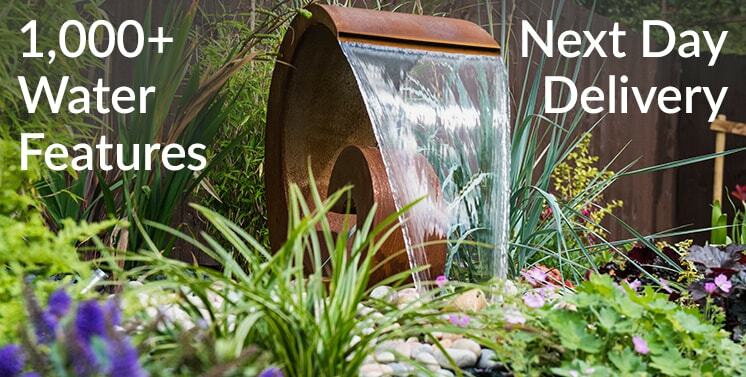 Whatever you are looking for, from big to small, whether for indoors or outdoors, home or office, we will have the right water feature for you! 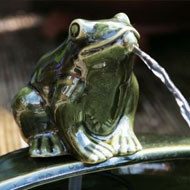 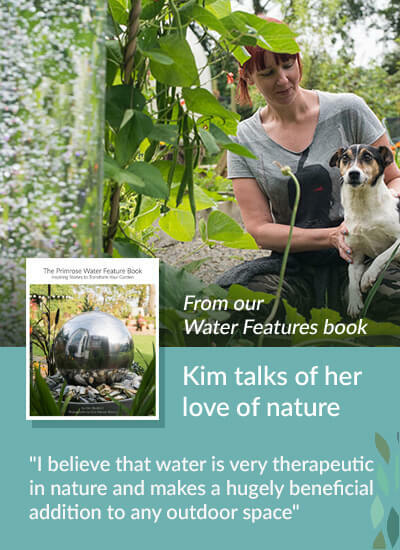 Why Buy Your Water Feature From Primrose? 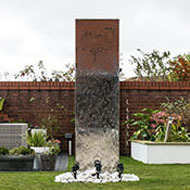 At Primrose, we think of ourselves as the water feature specialists; we have an enormous variety of water features and are constantly adding more to our range to give you the best choice possible. 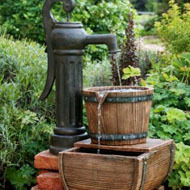 We also supply all the extras you need to get the most out of your feature, including pumps, reservoirs, lights and misters. 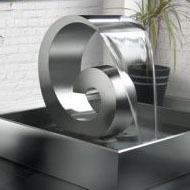 We filter our range to offer you only the best quality products – our water features and fountains are all carefully made to the highest standards and with the best materials. 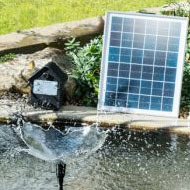 We know that some people are put off by the thought of fiddling for hours to get the feature up and running and so have ensured that whether you choose a mains- or solar-powered water feature, installation and maintenance couldn’t be easier. 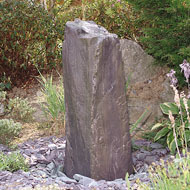 On top of this, we’ll whizz your order direct to your door for only £4.99 per order, no matter the size or cost of the feature itself. 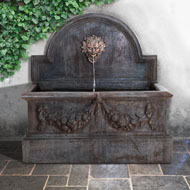 Almost all our water features are despatched the same day if you order before 3pm on a next working day delivery service. 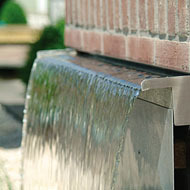 Our staff are experts in water features and are always on-hand to answer any questions you may have both before and after purchase about our features, installation and maintenance. 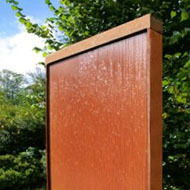 We have even developed a range of after-care products, such as our Frost-Free solution, to help you keep your water feature in tip-top condition year after year. 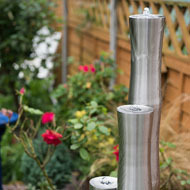 Be sure to read our guide to protecting against frost too. 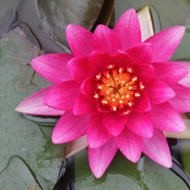 If you have any questions about any of our products or policies, please do not hesitate to contact us.